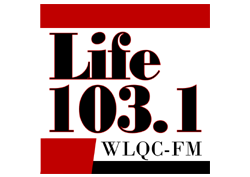 We at Life 103.1 (WLQC-FM) are dedicated to serving our community and its families and businesses, focusing on that which makes Life special in eastern North Carolina. Radio is about sounds - sounds of voices, sounds of music, sounds of everyday living - love and war, and that which stirs the soul. Life 103.1 is committed to filtering out the noise and bringing to our listeners the sounds that speak to the heart and to the mind, that which is true and honorable, just and pure, lovely and gracious, excellent and worthy of praise. Our priority therefore is accurate news reporting, quality entertainment, a variety of music, and information that defines and affirms all that is good about Life in eastern North Carolina. If you have any questions, concerns, or suggestions, please do not hesitate to contact us! Radio reaches more than 90% of the population every week. Radio is personal and immediate and always “front page.” Radio is agile – with content and production that can “turn on a dime.” And radio is cost effective, returning in sales many times over the advertising dollars invested. When combined with other media, radio allows advertisers to break through the ad clutter in magazines and newspapers, to expand and personalize billboard messages, and to drive traffic to websites and social media outlets. Life 103.1, one of eastern North Carolina’s most listened-to radio stations, offers customized marketing plans that incorporate both on-air and online components. Our top-of-the-line digital platforms allow us to harness the power of the Internet to complement our robust on-air opportunities. We would be happy to work with you and your business or organization to design a plan tailored to fit your needs and marketing objectives. If you are interested in targeting the Life 103.1 audience to extend and expand the reach of your message or brand, please contact the station to speak with our station manager.